We are an intergenerational and culturally diverse community from all walks of life. You will find young and old, single, divorced, and married couples, with and without children. We use the Book of Common Prayer at each service. Although we alternate between Rite I and Rite II at the 8:30 am and use Rite II at the 10:30 a.m., communion is offered every week at every service. The back-to-basics sermons are biblically inspired and relevant to living in today’s world. We come to worship God first, listen to Him through hearing the word, offer prayers, and receive God’s grace through the bread and wine. We worship joyfully! Our most traditional worship service features the organ with congregational hymn singing. It is low-tech and approximately 60 minutes in length. This service is for the early bird and for those who enjoy a small, nurturing community. The worship prayers are from the Book of Common Prayer, alternating between Rite I and Rite II. The blended music style ranges from hymnal to contemporary to soft praise music. The pianist and choir set the tone with upbeat music, regardless of the genre. Special music and ensembles are sprinkled throughout the calendar year. Worship includes “ancient and new” prayers and forms from the Book of Common Prayer. Eservices are available for your tablet or phone, making following the service easy. 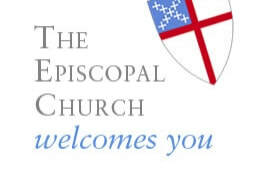 Go to stlukes.net and download the eservice under bulletin tab on the home page. May I take communion? If you have been baptized in the name of the Father, Son, and HolySpirit in any denomination, you may come forward to receive the bread and wine. You may, also, take one or the other, dependent upon your health needs, such as gluten intolerance, allergies, or other conditions. If you prefer not to take communion, please come forward for a blessing from the priest. How should I dress? People are different—some like to dress up while others prefer jeans. Modest dress is encouraged. Regardless of your preference, we say to you, come. Come as you are! Am I expected to give a financial gift during the offertory? Our members give as part of their commitment to God and each other. If you are a Christian from another faith, your gift is appreciated. As a first time visitor, you are not expected, but as you return to join us for worship an offering to God for the continued work of his mission is important. Will I be asked to come forward during the service? No. We do ask that you sign our guest book, but our intention is to make you feel comfortable. During the service, we greet each other during the exchange of peace. This is a good time to introduce yourself to those sitting cloe by. Don’t be surprised if a greeter gives you a gift bag before you leave. Please introduce yourself to the priest. What happens for my children during the service?There is a special children’s ministry beginning at 10:15 a.m., which includes a variety of activities to teach them the ways of God and our response to him. Children are always welcome during the service. A nursery attendant is available during the 10:15 a.m. service.